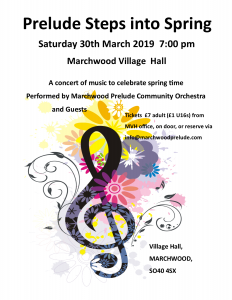 Marchwood Prelude is a community orchestra that was formed in 2009 and has grown to include more than 60 amateur musicians of all ages. 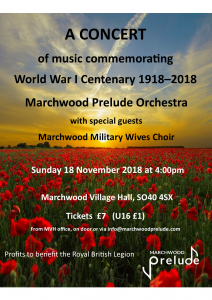 The music played by Marchwood Prelude is specially arranged by John Bell to accommodate the wide and varied range of instruments played in Marchwood Prelude. 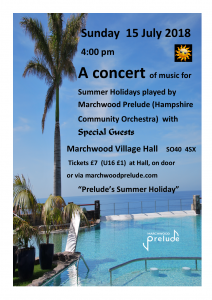 Marchwood Prelude has evolved from an off-shoot of Marchwood Orchestra. 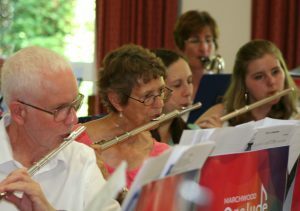 The Orchestra was formed over 30 years ago in St John’s Church in Marchwood, by a group of enthusiastic amateur musicians under the leadership of Reg Martin. 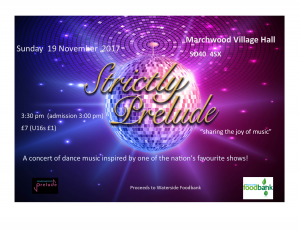 Marchwood Prelude has become a confident self-contained organisation as part of the Marchwood Music Society. 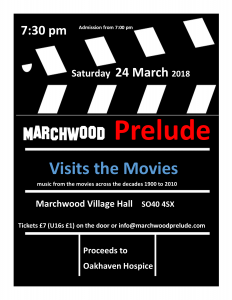 The motto of Marchwood Prelude is “sharing the joy of music” and judging by the applause and smiles at Prelude concerts, this spirit is being effectively embraced by both audience and musicians! John studied the clarinet at the Guildhall School of Music and Drama.  He became a national mentor trainer and programme manager for Trinity/Guildhall/OU, assistant director of music for Southampton, and a teaching fellow at Southampton University where he contributed to PGCE and Masters degree courses. 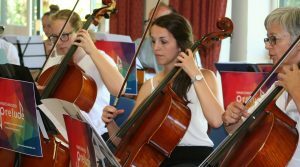 His pupils have played in the school proms at the Royal Albert Hall and progressed to study at The Royal Academy, The Royal College and The Guildhall. Whilst a working headteacher, John was invited by Ofsted to join its inspection team. John has always enjoyed being a working musician. He plays the drums in gigs all around the country. In the past, he was the drummer with the Real Ale and Thunder Band and the Ray D'Inverno modern jazz ensemble. 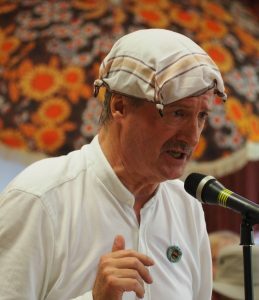 He has also played the drums on gigs involving Mark Nightingale, Stan Dave Shepherd, Andy Sheppard, Pete King, Nigel Hitchcock, Monty Sunshine, Acker Bilk, Kenny Ball and, on just one occasion, shared a concert stage with the Duke Ellington Orchestra! John currently works as a volunteer, sharing music with elderly people in Southampton and adults with severe learning difficulties. 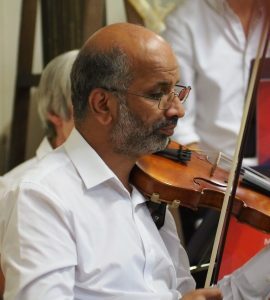 His work with children who have been permanently excluded from school is the subject of a chapter in the recent publication, "Teaching Music Differently - Case Studies of Inspiring Pedagogies." 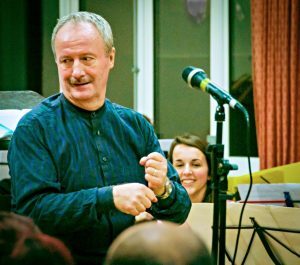 His work with inclusive music education has been judged to be the best in the UK by The Royal Society of Arts and Her Majesty's Inspectorate. In 2018, John's first novel, "Epitaph on a Beech Tree - A Tale of the Grerat War" was published. It has been nominated for the James Tait-Black award and the Royal Society of Literature Chrisopher Bland Award. 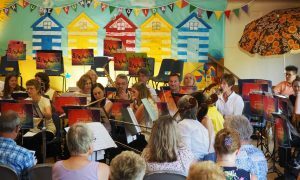 Marchwood Prelude is an extremely important part of John's life enabling him to use his experience for the benefit of a genuine community orchestra. 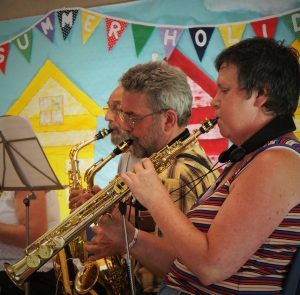 Musicians of all abilities, ages and backgrounds are enabled to play together in the spirit of achievement and fun, with music that has been arranged just for them! 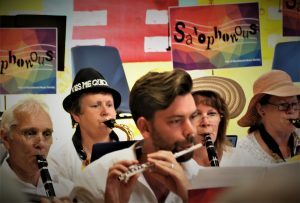 A very friendly and supportive society with strong links to the community and local schools that provides opportunities to enjoy sharing music with like-minded people.